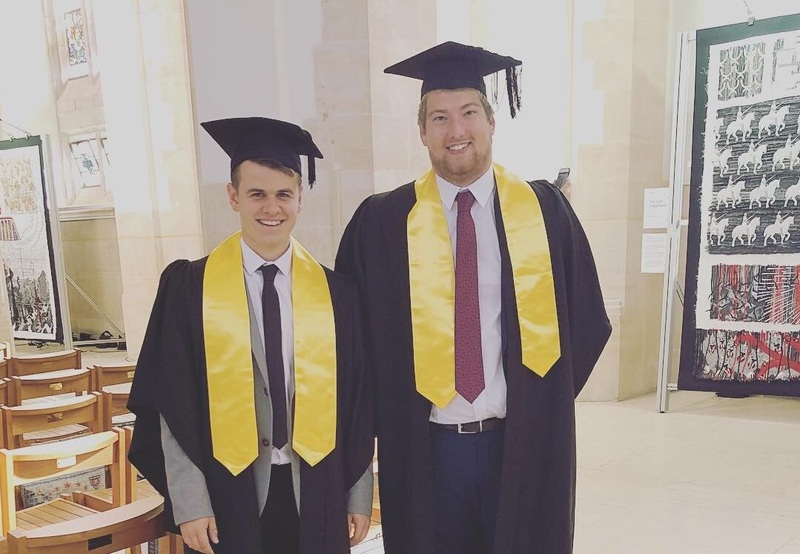 Last week, two of our primary staff, Callum Grainger and Ollie Royan, attended their graduation ceremony following completion of their SCL Apprenticeships in Playwork (Level 3 Diploma (NVQ). The course aims to improve technical and practical skills around the development of early years learners in a childcare environment. SCL offers a unique Apprenticeship proposal in that individuals are able to work for our Primary department whilst receiving education from our Education and Training division, a scenario that develops a strong sense of belonging and rounded practical application opportunities. Both were pleased to point out how well they have appreciated the apprenticeship programme. Callum explained that the ‘apprenticeship has given me that hands on experience that I needed to help me within my chosen job role and I’ve found that it’s helped massively with my own personal development’, whilst Ollie said that the programme had ‘boosted my confidence by helping me achieve more than I expected to’. We congratulate both Ollie and Callum on their fantastic achievements, and hope that they continue to enjoy and develop within their roles at SCL!